Chris Bruce submitted this photo and caption. I took this photo last year (June 16) as one of the winners of the Cadets' "This I Believe" essay contest. I spent the entire afternoon with the corps in Annapolis, Md., watched them warm up, and then went on the field with them that evening. 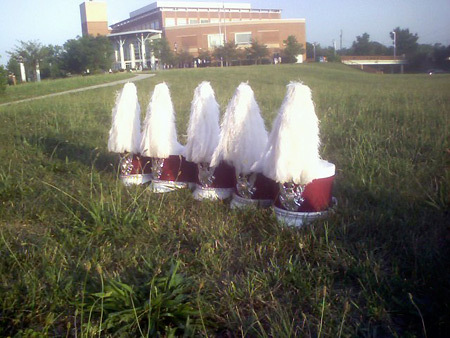 I took this photo of the bass drum line's "shakos" during their warm up.